"First Steps to Expressive Painting" HERE! SPRING FLING SAVINGS! !--30%--click here for discount! This is my Master Class in Expressive Floral Still Life Painting--equivalent to a full week in-person workshop. You will everything from start to finish including a systematic approach to acrylic painting. 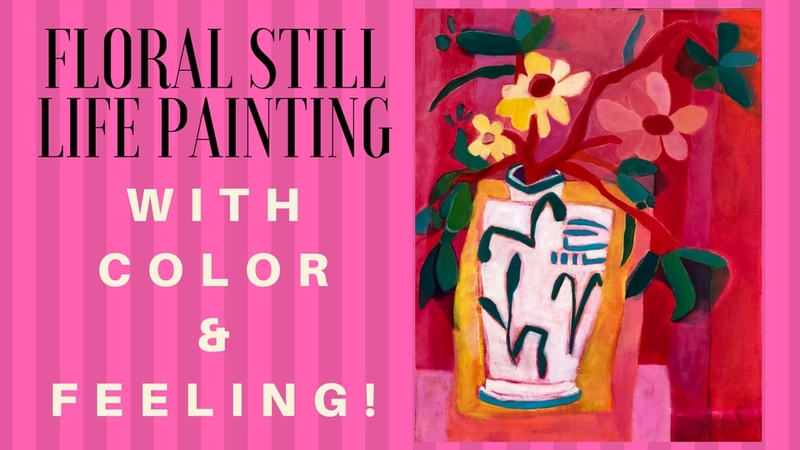 This course is for painters at any level--those new to painting and experienced painters who yearn to paint more expressively with lots of color and feeling. You can keep it forever to complete on your timeline too! SPRING FLING SAVINGS! !--30% OFF--click here for discount! 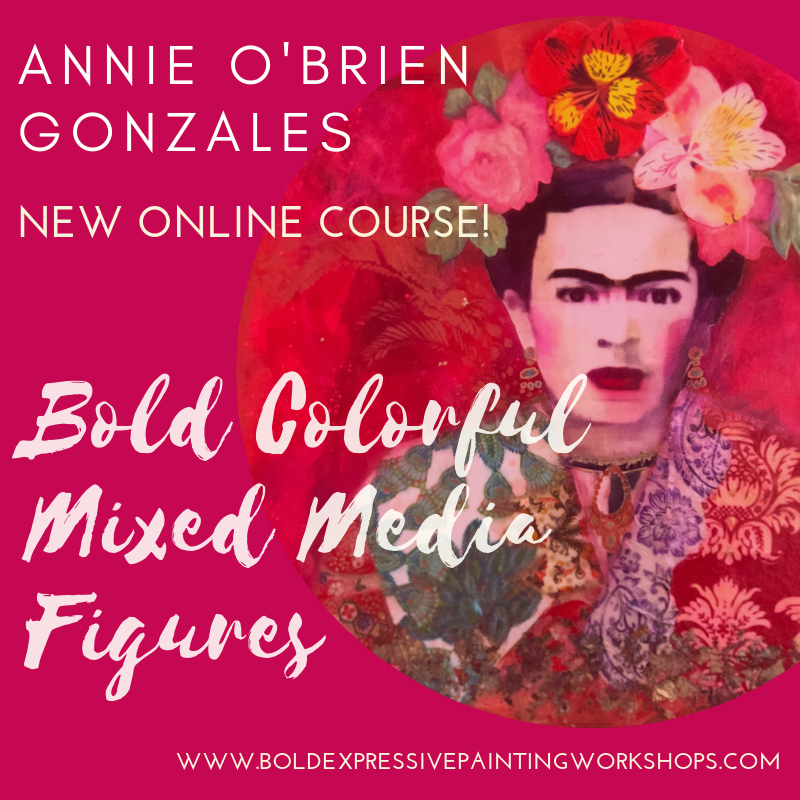 This course is focused on teaching you to get loose and create beautiful figure paintings using lots of mixed media (collage paper, mark making tools, metallics & more) with NO DRAWING REQUIRED! We will demos, videos & handouts to walk through the entire process. I will guide you to create your unique vision unlike anyone else. This course is designed to “jumpstart” you to paint without fear! You can keep it forever to complete on your timeline too!